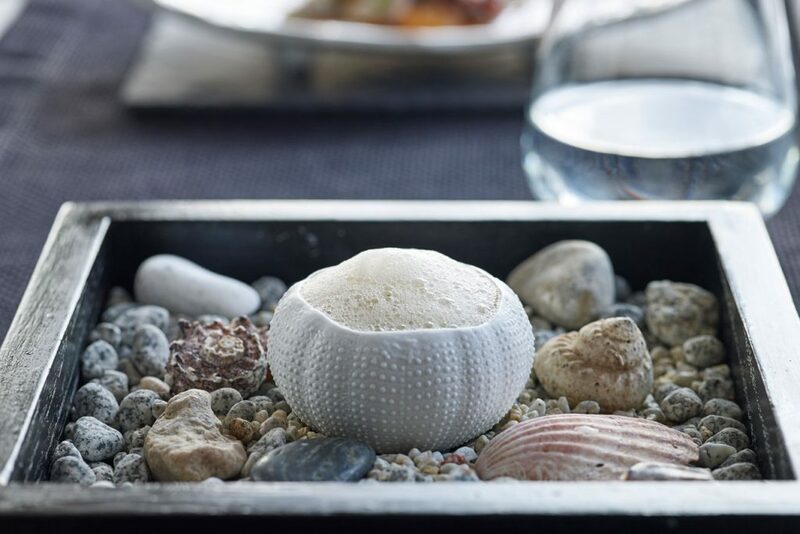 With an exciting and ever evolving restaurant scene, Mykonos is a destination for foodies. This island is home to some of the best restaurants in Greece. Dessert at Bill and Coo. I’ve been on assignment many times here to review hotels and restaurants for various media. Speaking with restaurant owners (some restaurants are family owned) and chefs, I got to know the stories behind each venue. 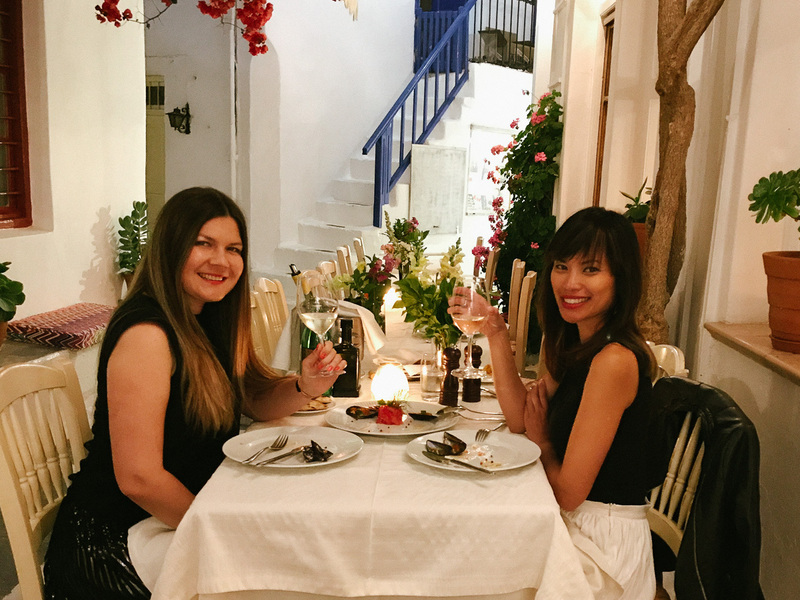 I’ve come to understand why some of the best restaurants on Mykonos have come to be known as the best. 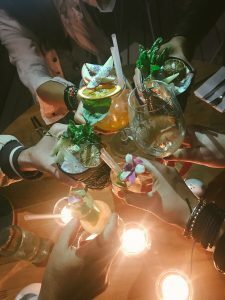 Based on my food writing and reviewing experiences, here’s my rundown of the best restaurants on Mykonos. Amazing cocktails and dinner at Buddha Bar. Loving my job at Katrin. I’ve gotten lost every time I tried to walk to this restaurant. Trust me, the search through Mykonos Town’s Dilou quarter is worth it. For decades, this family-run restaurant has maintained its standing as one of the best restaurants on Mykonos and with that — one of the priciest places to book a table. Greek and French dishes here may be gourmet but they don’t stray far away from authentic flavors and recipes. Everything I’ve ever tried here is completely satisfying, full of flavor. It’s the kind of place where you feel like you just indulged in an expertly prepared dinner. With my friend and fellow travel blogger Elena of Passion for Greece. 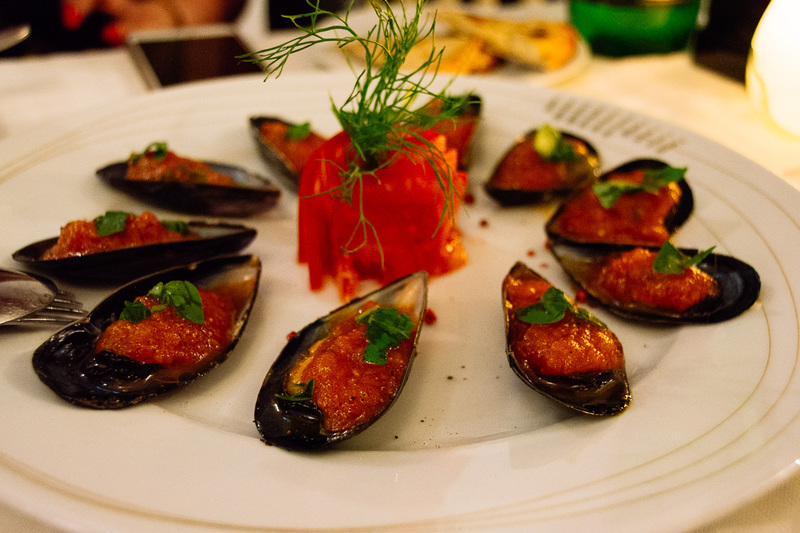 During my last review, I loved the steamed mussels, seasoned in a sweet tomato and basil sauce. I equally enjoyed the prawns in a Hellenic cream sauce, a special house recipe. The grouper fish carpaccio with aromatic herbs and a tangy vinaigrette was another excellent dish. For a main, I enjoyed a sea bass fish steak in the oven with tomato sauce and vinegar. Keep room for some amazing desserts. I was assured I’d find the chocolate with no egg, butter or flour divine. I did. Kind of hidden in a corner square of Mykonos Town, Funky Kitchen is one of my favorites. Here, chef Pavlos Grivas is doing what he does best in his modern, open kitchen: creating delicious Mediterranean fusion dishes with an innovative twist. His lovely wife Andrea also runs the front end of the restaurant and is just as knowledgeable about every ingredient used in each dish. 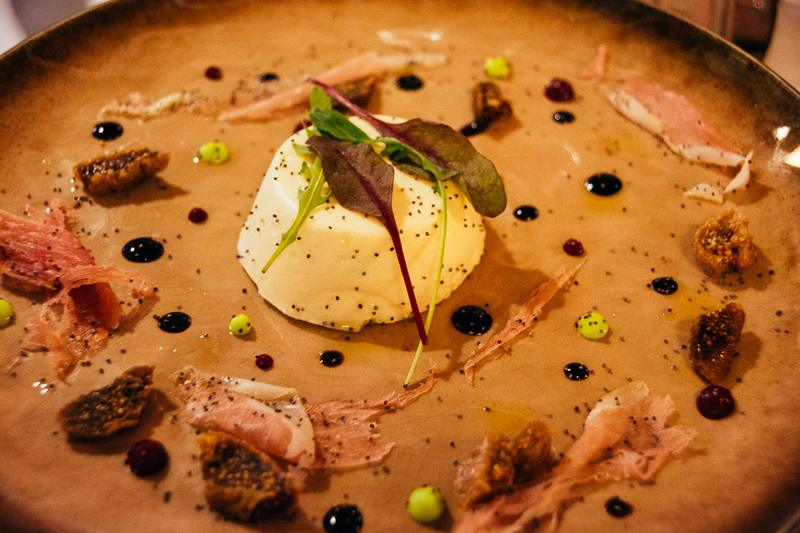 Start with a savory panna cotta made with kopnasti cheese, sun dried figs and Greek prosciutto. Chef Pavlos created this incredibly creative dish of what I’d say is an intensely unique type of local cheese into a smooth and creamy delight. Another fantastic starter was the octopus carpaccio with Syros capers wild oregano and pink peppercorns. Mains we tried including a perfectly seared Mediterranean tuna accompanied by a smoky eggplant mousse and spicy lemon dressing as well as fantastic rib eye robata with truffled potato cream. Amazing desserts, creative cocktails and excellent service round out the experience. Gluten free options are available. 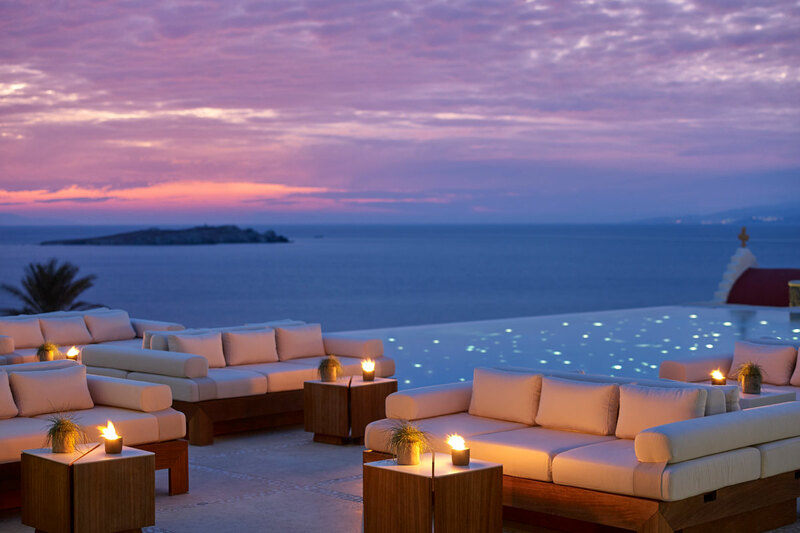 At one of Mykonos’ top luxury boutique hotels, you’ll want to book a table at its award-winning gourmet restaurant. Bill & Coo’s dining area is set around a sparkling infinity pool and sea view. 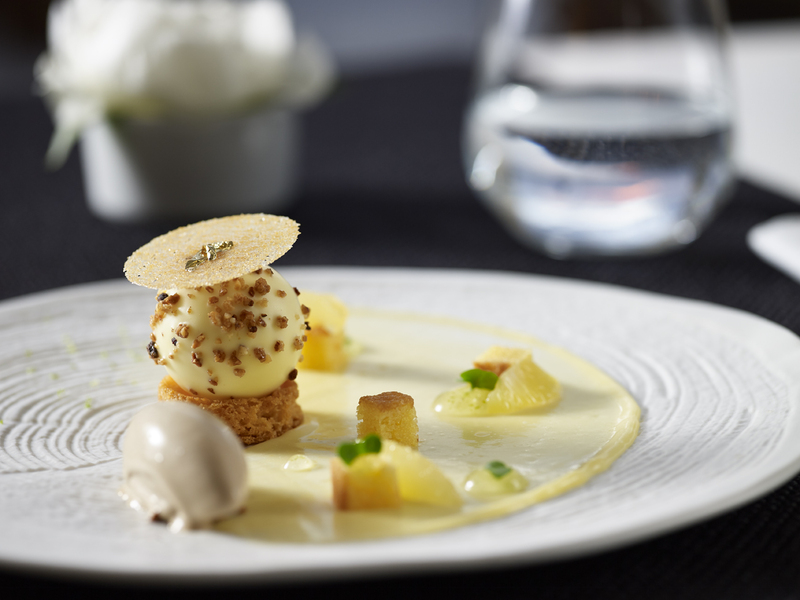 Chef Athinagoras Kostakos marries fine contemporary cooking techniques with ingredients native to Mykonos. I found each dish to be well thought out, releasing the savory identity of the Greek ingredients I have come to love including olives, capers, citrus, fresh seafood and local vegetables. Photos courtesy of Bill and Coo. A signature dish to look out for is rack of lamb with potato gnocchi, sweet bread tempura and a crunchy kokoretsi. I loved every bite of a divine cod fricassee served in a traditional egg-lemon sauce with bonito. 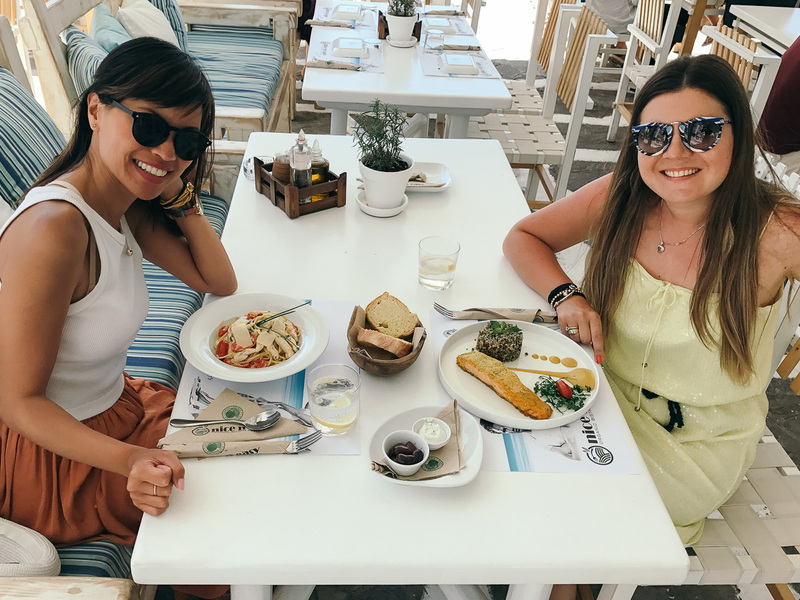 Nice n Easy’s outdoor dining area is set on one of the most scenic dining spots with a combination of sea views, the iconic Mykonian windmills and Little Venice views. 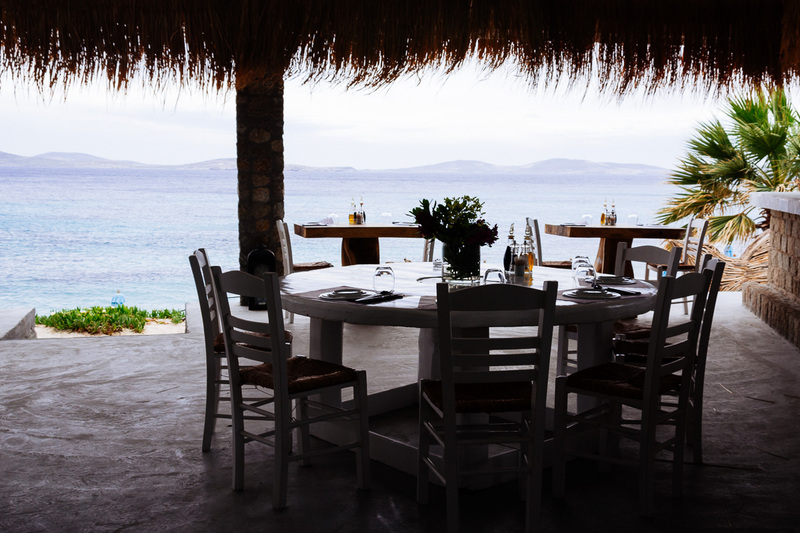 Athenians are familiar with two Nice n locations and now the brand has brought its farm-to-table Mediterranean cuisine concept to Mykonos. 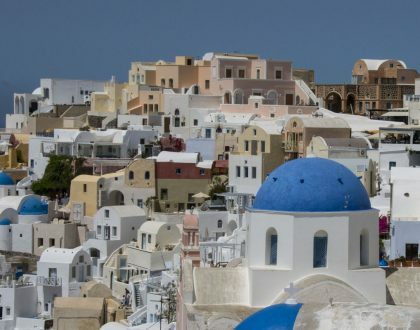 Here, the whitewashed Cycladic island setting has a touch of Hollywood. You may notice 1950s icons, thanks to co-owner and former L.A. restaurateur Dimitris Christoforidis’s influence. Organic ingredients are sourced from around Greece. Try the water buffalo meatballs with smoked tomato sauce. The restaurant has an organic buffalo farm in northern part of the country. 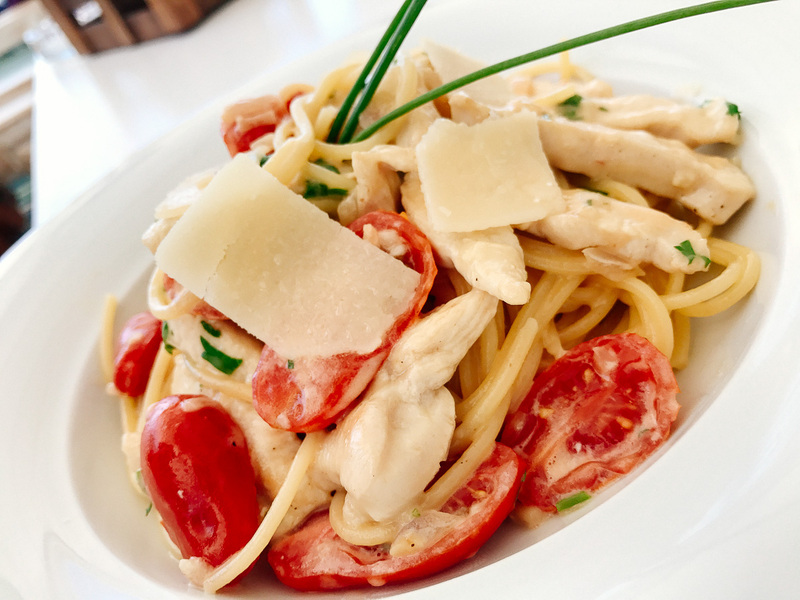 Main dishes to savor include the Mykonian chicken spaghetti with kopnasti cheese, wild fennel, organic rocket and chicken fillet. A flavorful seafood appetizer we opted for was the Aegean mussels with feta cheese, lemongrass, kaffir lime leaves and Mediterranean herbs. The wine list is long, sushi is excellent, a kids’ menu is great for families and gluten free options are available. 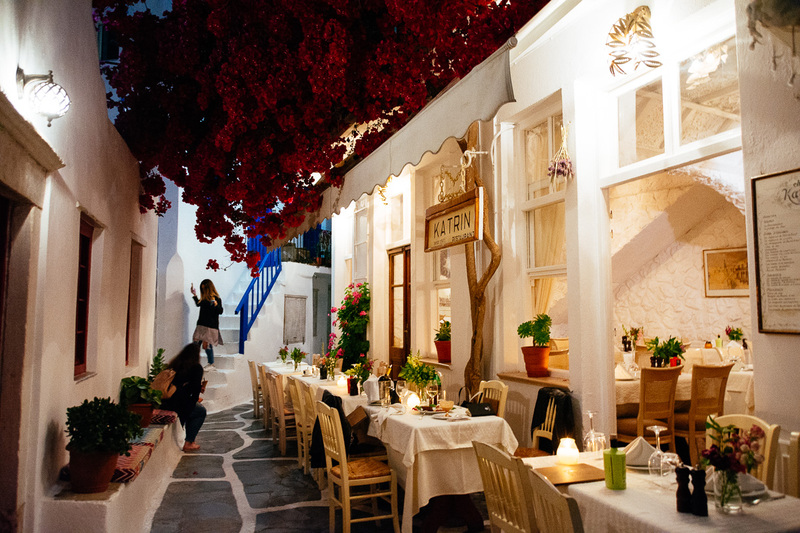 Avra’s ambient, open garden space is a beautiful and romantic nighttime dining option in Mykonos Town. You’ll find mostly Mediterranean cuisine, but this is also the place to reserve a table for a Asian and Italian dishes. Try the fried feta appetizer topped with sesame seeds, grapes, and rose petal jelly. 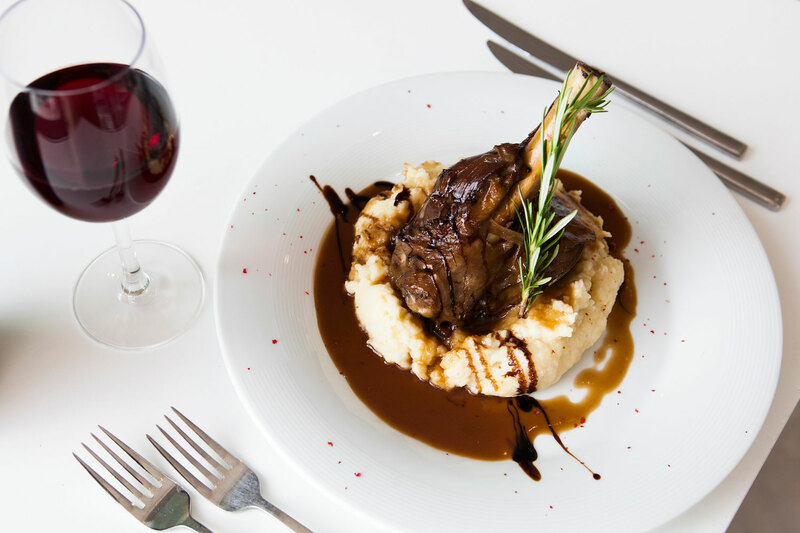 The oven-roasted lamb with rosemary is the Greek favorite. For Asian tastes, opt for the the Chicken Oriental seasoned with ginger, onion, cashews, and soy sauce. 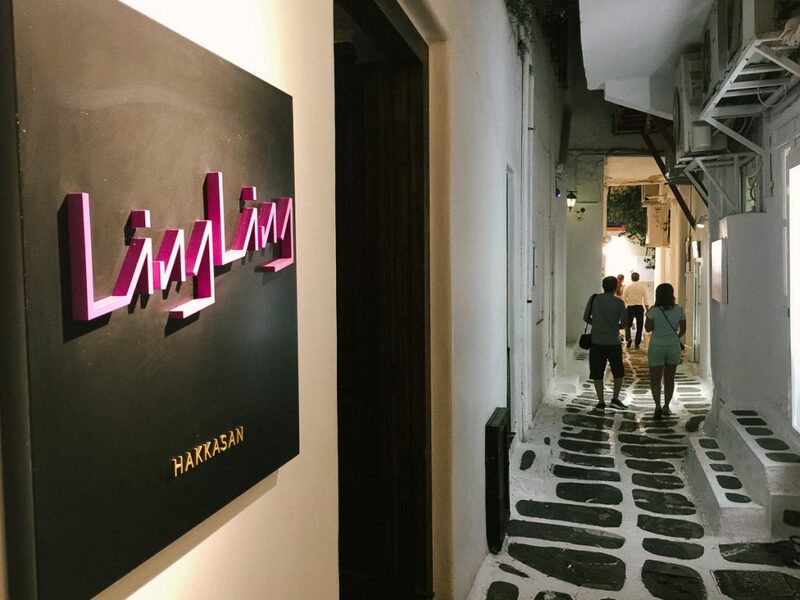 At Ling Ling on Mykonos, the combination of urban design, style, and a menu any Asian foodie would crave made it hard to believe I was still sitting on a Greek island. But, that’s Mykonos. This is the island that carves out eclectic dining scenes on the Greek islands. Check out my full review here. My Mykonian friends can attest to the long-standing quality at Apaggio. I enjoyed dining at this simple tavern style restaurant with a beautiful view of the sea. This is a place to go for local fish dishes, Mykonian salads featuring spicy louza sausage and familiar Greek favorites such as Greek salad and moussaka. 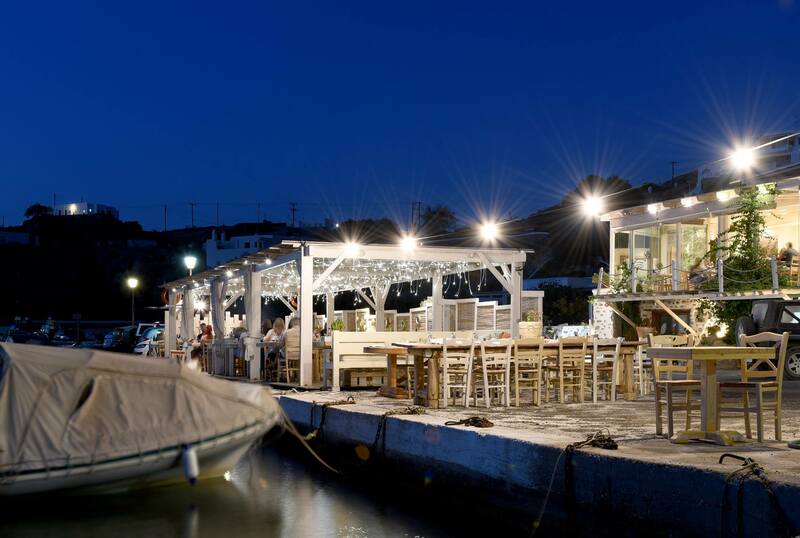 Set among a throng of beach side restaurants in Platis Gialos, Avli tou Thodori sets itself apart with a bit of history. The name translates to Thodori’s Garden, a dedication to owner Thanassis Kousathanas’s late father who was a Mykonian fisherman. You’ll find his black and white portraits are hung with pride. Photo courtesy of Avli Tou Theodori. Try the feta cheese wrapped in phyllo pastry with sesame seeds. I loved the watermelon salad with feta and ouzo dressing – a summer Greek island classic. 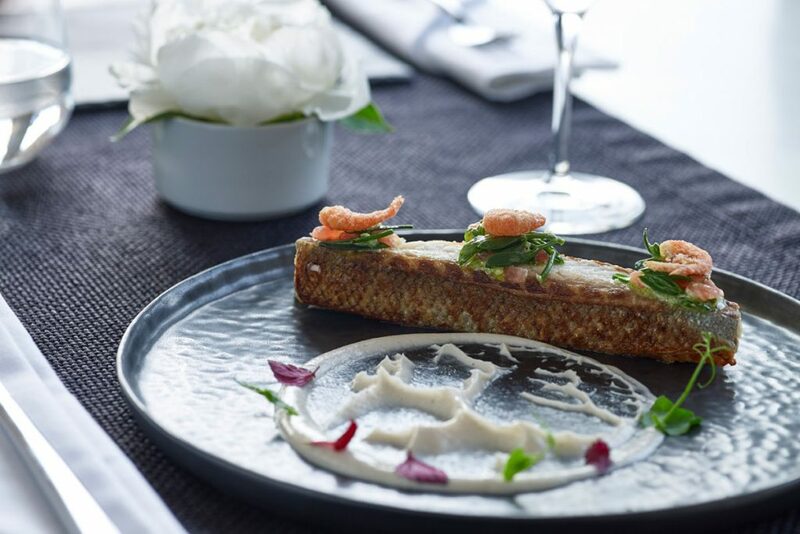 For mains, try the prawns sautéed with eggplant and katiki cheese or the grilled sea bass fillet with avocado. 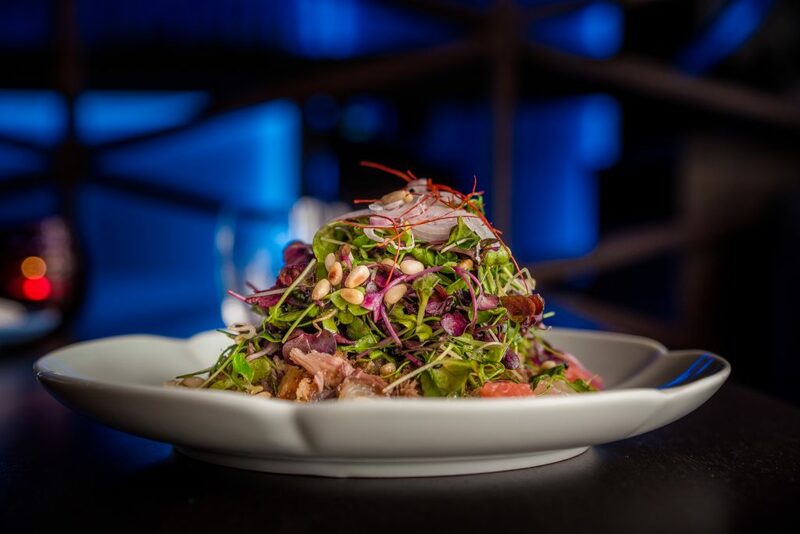 Book a table at Buddha Bar and you’re booking one the hottest tables on the island. As part of the international Buddha Bar franchise known for its chic cosmopolitan vibe and avant-garde music, Mykonos’ Buddha Bar Beach takes all that style to the private beach at the Santa Marina hotel complete with a fantastic sea view and modern, Zen-inspired atmosphere. 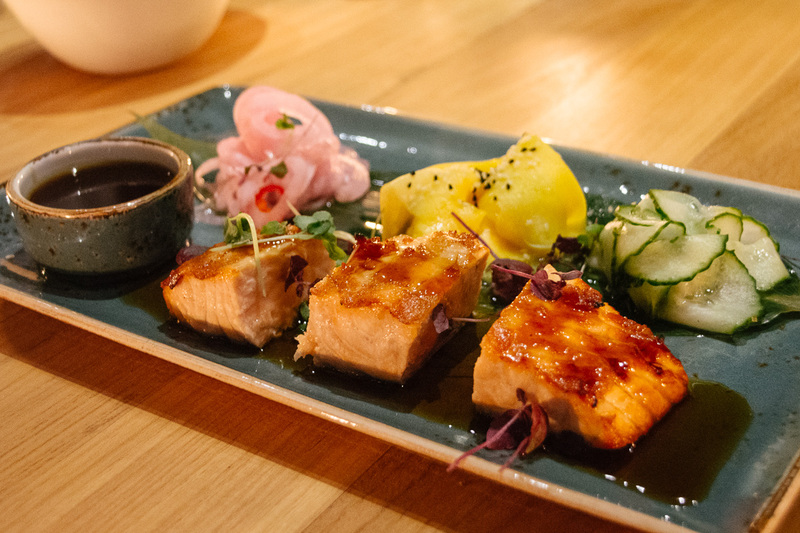 This is the place to try fantastic sushi options and an array of Asian plates. The cocktails are truly special here. 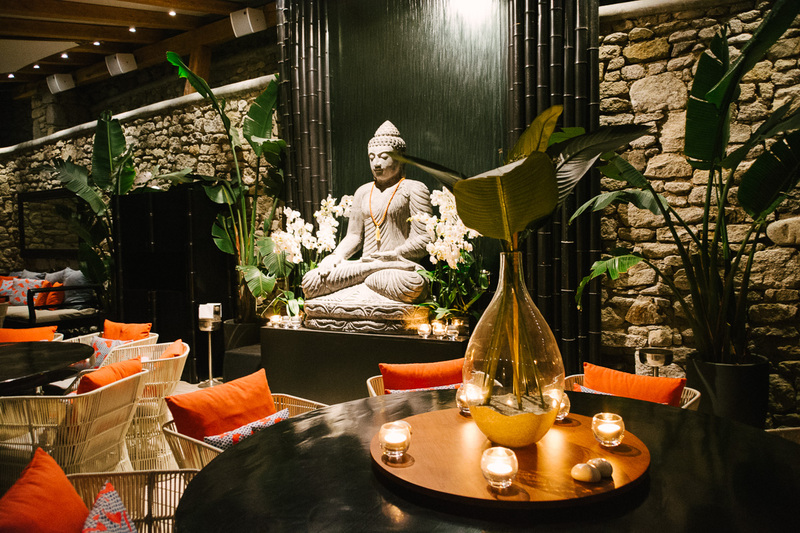 Buddha Bar is famous the world over for its expert drink creations dreamed up by renowned mixologists. While we dined here, we were served by Buddha Bar’s Matthias Giroud who is Buddha Bar’s Worldwide Chief Mixologist. Here’s where the British romantic comedy movie Shirley Valentine (1989) was filmed. Today, its known more for its combination of island beach views, cocktails, clubbing and – of course – excellent dishes. The menu is diverse offering Greek and Mediterranean plates. 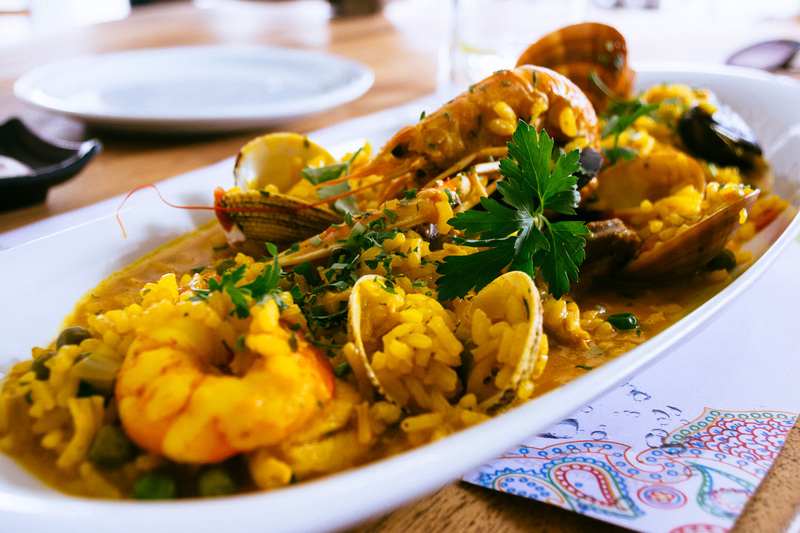 Choose from small Greek appetizer plates called mezes, international plates like an excellent seafood paella, pastas and fresh seafood dishes. Kiki’s is a simple family-run garden taverna known for its authentic and simple Greek dishes. The secret is out so you’ll likely have to wait an hour or so to get a table. Reservations are not taken either since there isn’t a business phone at the taverna. However, once you do grab a seat, you can relax to sea views of beautiful Agios Sostis beach. Choose from classic Greek taverna fare including grilled meat and fish dishes which go great with the traditional list of Greek salads and creamy dips. For more a rundown of tips about what to do, where to stay on Mykonos, and other travel experiences on Mykonos, check out my Mykonos mini travel guide page on this blog. That sums up my take on where to eat on Mykonos. Have you ever visited this island? Would you recommend any restaurants to add to my list?